I kept diaries from about age 9 until well into my twenties. 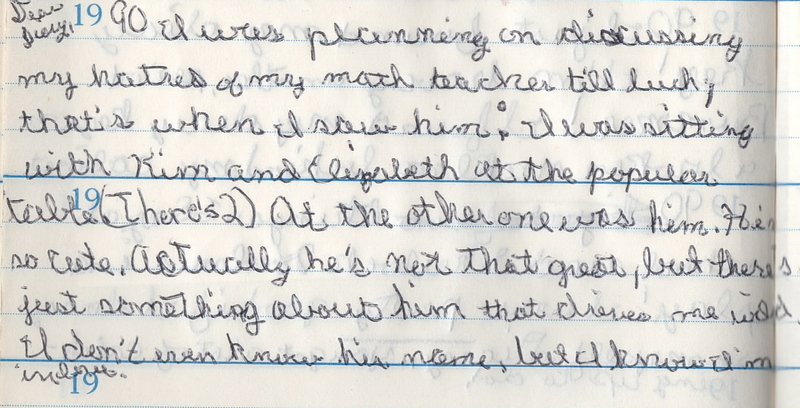 My five year middle school journal is my favorite for all its comedic gems. If I strain hard enough I can see the beginnings of a romance writer, or I could’ve just been the typical, boy-crazy ten year old. And then there was the ultimate romantic 80s movie, Dirty Dancing. Was it really a cliff hanger? Another boy, another obsession, a couple years later. My flair for the dramatic noticeably increased. 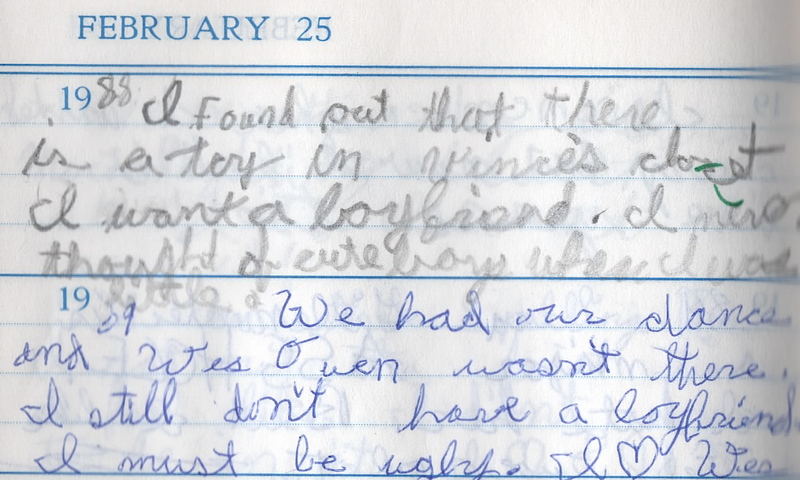 In conclusion, the roots of my obsession with everything romance was apparent from a very early age.